Only the most durable, well-designed scales can withstand rugged industrial environments. Whether your application requires you to weigh in milligrams or tons, METTLER TOLEDO has a solution to fit your needs. We offer a range of robust industrial scales—including bench, pallet, rail, tank, floor and customized specialty scales—that can create the highly accurate, reliable results your application requires. METTLER TOLEDO is known for its premium quality, high-precision bench, pallet, floor and other specialized weighing scales. High-precision floor scales ensure excellent weighing in warehouses and logistics centers, while compact and/or portable bench scales make quality weighing available in smaller work areas and a wide variety of weighing applications. Bench scales and floor scales from METTLER TOLEDO provide excellent resolution, repeatability and weighing accuracy where it counts. High-precision premium bench- and floor-scale models are available for sophisticated applications, while basic value and advanced models are also available for simpler, routine weighing tasks. Hygienic and Ex designs allow METTLER TOLEDO bench, floor and specialty scales to be used in a variety of industrial settings, whether your application requires ingress protection for heavy wash-down or intrinsic safety to mitigate explosion risk. 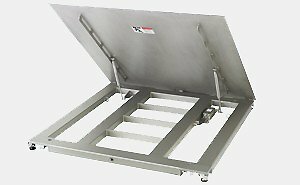 Models available in durable plastic or stainless, mild or painted steel mean there is a METTLER TOLEDO bench, platform and floor scale for nearly any industrial weighing need. Bench, floor and other industrial scales from METTLER TOLEDO are available for use in chemical, pharma, food, OEM, transport and logistics, manufacturing and more. 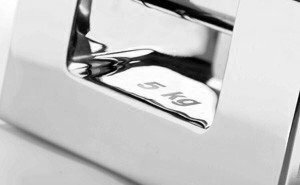 Regardless of application, METTLER TOLEDO can offer you a scale out-of-the-box or create a custom weighing solution to meet your industrial weighing requirements. Periodic calibration can help ensure that measurements deliver the kind of cost, quality and revenue results that help improve profitability. Typically, calibration is performed during a maintenance service visit along with weighing scale inspection, cleaning and adjustment. When using the right procedure and scheduling, calibration and maintenance can help you avoid unexpected downtime, reduce repairs, achieve process performance, improve quality, ensure compliance, avoid product giveaway, and more. 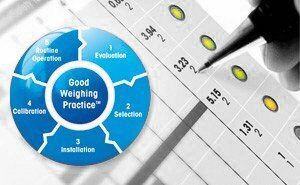 METTLER TOLEDO offers Good Weighing PracticeTM (GWP®) Verification, which is based on a calibration that documents the measurement uncertainty of weighing equipment under real operating conditions. This establishes that scale performance satisfies process and quality requirements and documents the measurement range in which equipment can achieve reproducible results. GWP Verification also provides all necessary information for lifetime calibration and testing. This includes test methods, intervals, weights, tolerances and SOPs. 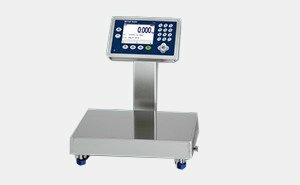 This service is available for all non-automatic weighing equipment regardless of brand or model. Accurate weighing helps you manage raw materials, ensure compliance with regulations and improve your product quality. Floor scales such as the PFK9 provide industry-leading performance for applications that require reliability with the best accuracy available. Floor scales with a variety of sizes and capacities are suitable for heavy industrial applications. The PFK9 itself—and many other floor-scale models—offer a Monobloc-technology load cell to guarantee the highest precision and reliability. The unit’s robust load-cell housing features integrated overload protection and durable mechanical interfaces for many years of intensive industrial use. Pallet scales such as the PTA455/PTA459 offer weighing excellence for goods shipping & receiving, manufacturing and packaging. These rugged, reliable pallet scales are made of hot-galvanized mild steel or stainless steel. A wide range of options and accessories helps these versatile scales meet your requirements. PTA pallet scales come with wheels and a handle so you can weigh wherever it is most convenient for you. PTA455 comes in galvanized mild steel for dry and light-wet applications, while the PTA459(x) stainless-steel version allows use in wet applications in both safe and hazardous areas. ICS bench scales offer superior weighing electronics and intuitive user menus for error-free operation. These bench scales enable high-throughput for checkweighing, counting, totalizing and filling. User-defined function keys and a large, innovative display make weighing applications fast and precise. A wide range of capacities and readability up to 0.001g make the ICS the perfect fit for your industrial bench-scale application. When weighing industrial tanks, vessels, hoppers or conveyors, only the most durable, well-designed load cells, sensors and weigh modules remain accurate. 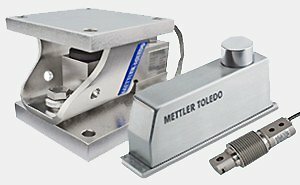 METTLER TOLEDO offers premium quality, high-accuracy load cells with global approvals and standards. Our wide range of accessories makes them easy to integrate into machines, devices and instruments. Additionally, they provide overload and lift-off protection, and they withstand vibrations, aggressive raw materials, wind forces, temperature fluctuations and mixing torque. Efficient and reliable weighing with high-quality bench scales and portable scales for any type of industrial application. Rugged and accurate, METTLER TOLEDO floor scales ensure precise weighing of bulky and heavy goods. Easily integrated intrinsically safe weighing solutions to boost productivity and enhance product quality in explosive environments. Ensure the accuracy of your weighing equipment with industrial test weights that meet legal requirements for easy, safe and productive testing. 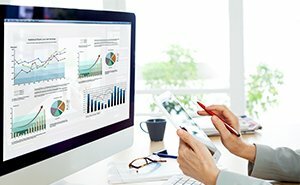 Streamline processes and optimize product quality with a few keystrokes. Specialized software for industrial applications saves time, money and effort. Flexible and easy to use, our industrial printers and peripherals make recording your weighing and process data effortless. Automated, semi-automatic, and manual batching controllers and custom material-transfer control solutions can enhance batch quality and profits. When verifying inventory, packing parts in containers, or confirming production quantities, every part is important. Communication capabilities such as USB, RS232/485, Ethernet TCP/IP and automation such as Profibus®, PROFINET, EtherNet/IP™, or DeviceNet®, provide data to your network. 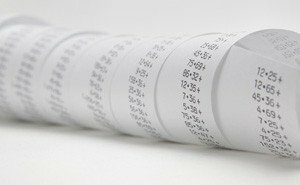 When filling Intermediate Bulk Containers, totes, drums, sacks or vehicles; you need very fast, precise, and repeatable results. If valuable raw materials need to be added accurately to produce the right mixture the METTLER TOLEDO line of terminals and scale bases is the right choice. Combine proven safety in hazardous areas with uncompromised weighing accuracy and performance. 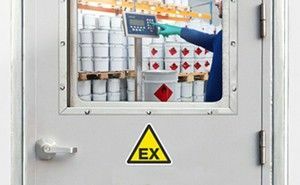 Approvals for ATEX, FM, IECEx and local regulations ensure compliance worldwide. Dynamic checkweighers and components for customized solutions to verify filling quantity of consumer goods and completeness of shipments in eBusiness. When it comes to manual filling, portioning or quality control, factors such as speed, throughput and quality have an important part to play. The quality of industrial filling processes varies from 'stable and easy to control' to 'high scatter and difficult to control'. The consumer should have access to safe medications, medical devices and services through processes that are understood and controlled, and therefore reproducible. Liquids, powders, solids, and gases are captured, stored, and processed in many different types of vessels, tanks, hoppers, and unique containers. Dedicated weighing solutions with high ingress protection suitable for wet & harsh environments. We offer a broad range of scales to meet the needs within the post office and postal environment. Dedicated high-precision weighing equipment for easy mechanical, electrical and software integration into machine and instruments. In-process completeness control by weighing is a simple and economical solution for parts, modules and kits to identify defective products quickly. Weighing is used for traceable calibration inside machines for automated volumetric dispensing in test labs and research and electronic manufacturing. High-precision scales provide the required metro logical performance when consistently accurate measurements are critical and tolerances are tight. Your new 2018/2019 Industrial Weighing Catalog will help you quickly envision an efficient, cost-effective solution that meets all your weighing and processing needs. This guide with his 16 chapters will assist those with responsibility for safety and process assurance in meeting their goals of quality and profitability. This guide serves as a reference point for those involved in production equipment selection and process design. It helps to identify areas for improvement by adapting processes, selecting the right equipment and developing appropriate SOP’s (Standard operating procedure) and calibration procedures. 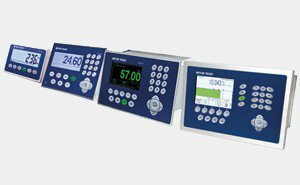 METTLER TOLEDO is a provider of complete balances and scales and manufactures weighing components for builders of instruments, machinery and process plants. Our updated comprehensive Hazardous Area Catalog 2017/18 has been developed specially to help you select the right equipment for your hazardous-area application and stay compliant. What if all your Weighing Data was in One Place?